Hey ya'll, I'm back this week with another review! 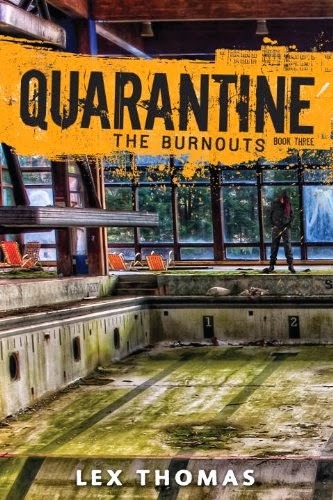 This past week I read a Zombie novel called Rain by Shaun Harbinger which by total coincidence also ended up on my Freebie Friday post yesterday as well!! I'm not sure if it is still free but I'll link to the post just in case. A doctor returning from the mountains of India unknowingly brings a deadly virus to the western world. The nightmare begins. Alex Harley is hiking with three friends when all media channels shut down to be replaced with the Emergency Broadcast. Civilians are warned to stay in their homes. Isolated and afraid, the four friends begin a fight for survival. The military sets up Survivor Camps to separate the infected from the uninfected. 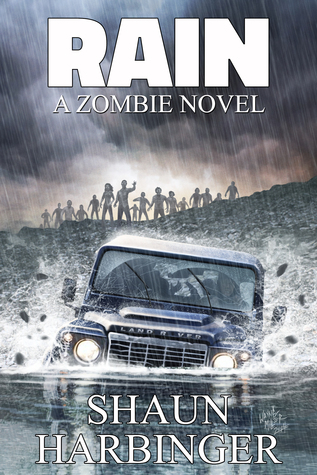 As a U.N. rescue mission is put into operation to save survivors from the clutches of the zombies, Alex and his friends must deal with the undead and power-crazed soldiers. But while they fight to survive, the authorities consider drastic measures to rid the world of monsters..
First off, I loved the main character Alex. It's always nice when an Author allows us readers to follow real people in their stories vs. macho men (or in some cases women) who know all the answers and always survive with not even a hair out of place. Alex is a slightly out of shape, self confessed geek. Alex is very flawed in that he doesn't see the worth in himself or the knowledge he possesses however that just makes him seem all the more perfect for his position to survive the zombie apocalypse anyway. The only real issue I had with Alex came towards the end of the story but that's not really his fault since the Author decided to write him that way. Another thing I really enjoyed about the book were the zombies. While the story doesn't get all that scientific, the way the zombies behaved around water made complete sense. I really dug that the Author chose to take that direction regarding them, not only because it made them scarier but also it affords the characters an edge to beat the odds a bit. Lastly, I really enjoyed how fast paced the story was. On my kindle it says the average reader finishes the story in slightly over 2 hours but I think I read Rain in just over an hour as I was that glued in to the story and the characters. All in all Rain by Shaun Harbinger was a great story and I cannot wait to get my hands on a copy of book two so I can see what happens to the characters now that we know things aren't as optimistic as they once seemed. I highly recommend picking this one up if you have not already and giving it a go. With that being said, I'll be rating Rain by Shaun Harbinger ★★★★. Out of curiosity, Have you heard of this Book? If you have, What did you think of the main character? If not, Will you be picking this one up?